Reliance Securities says that Infosys is a good bet for retail investors at this juncture given the buyback price of Rs 1,150 is around 32 per cent higher than Monday's closing price of Rs 873.50. Infosys shares have corrected nearly 15% in last two trading sessions. Infosys has announced buy back of around 11.30 crore shares at Rs 1,150 per share. As per market regulator Sebi's rules, 15 per cent of buyback is reserved for retail investors (having shareholding up to Rs 2 lakh), said Reliance Securities. This implies that around 1.70 crore shares in the buyback will be reserved for retail investors. Assuming that all of the retail shareholders tender their shares, the acceptance ratio will be 59 per cent (against total retail holding of 2.87 crore shares), the brokerage said. 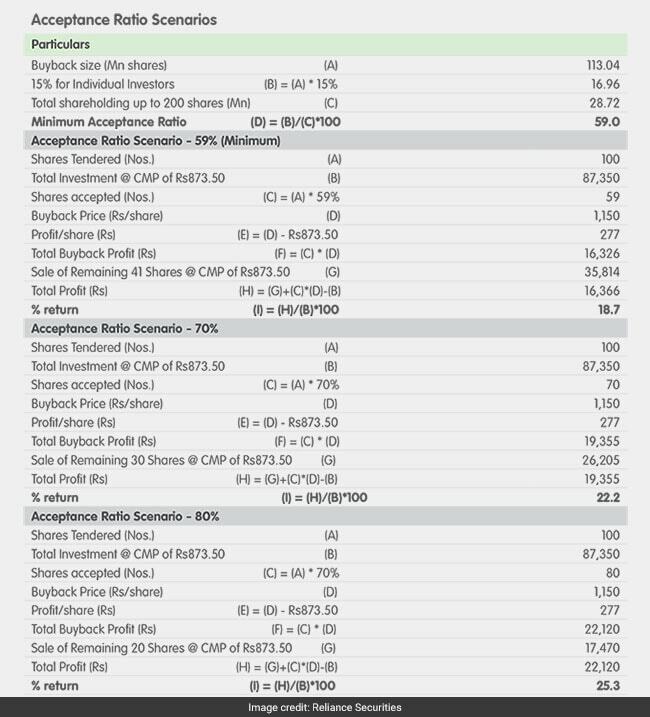 "As acceptance ratio increases, individual/retail investors who tender their shares will earn more profit, ranging from Rs 16,000-22,000 (19-25%), assuming the buying price is the CMP (Rs 873.50) and investors sell their remaining shares at the CMP," Reliance Securities said in a statement. As on record date (which will be announced later) if you will have Infosys shares worth less than Rs 2 lakh, then you will qualify as retail investors and can tender shares to the tune of Rs 1,18,000 (59 per cent of Rs 2 lakh). If less number of retail shareholders tender their shares in the buyback, then the acceptance ratio will increase and the retail investor's profit will also increase, according to Reliance Securities. 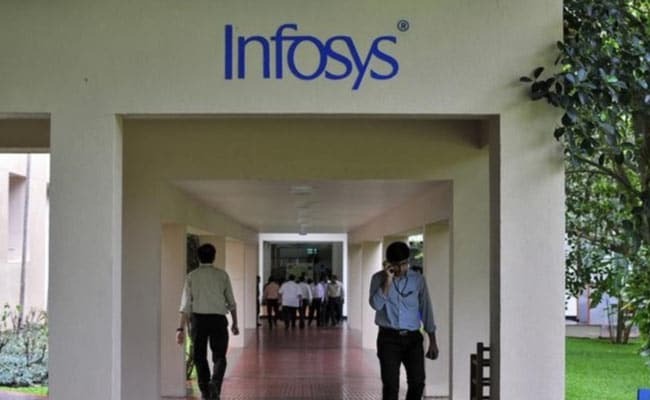 Infosys shares closed 0.41 per cent higher at Rs 877.15 compared to Monday's closing price of Rs 873.50 on Bombay Stock Exchange.